As a senior in high school, Emily Stocksdale is essentially done with life. She is only taking one class at North Forsyth High School, and yet still she is somehow afflicted with a horrid lack of motivation to attend school--or do anything, mostly. She has been a dual enrollment student since last year and takes most of her classes through UNG, but she has been in journalism for four years now and decided that it was too great a class to give up. Emily does have a life outside of school, surprisingly enough. 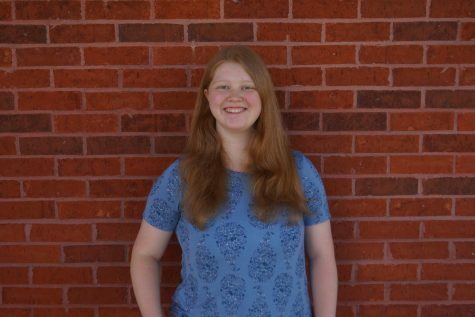 When she isn’t suffering through college classes or writing up articles for journalism, Emily enjoys petting her cat, playing piano and clarinet, reading, writing, painting, and serving in her church. She is very involved at church and is honored to be able to serve in several areas which allow for the use of her talents, including playing piano on the youth worship team and writing curriculum for the kids ministry. She is writing a novel which may eventually be finished (with any luck) and also dabbles in writing poetry and songs, though not well.